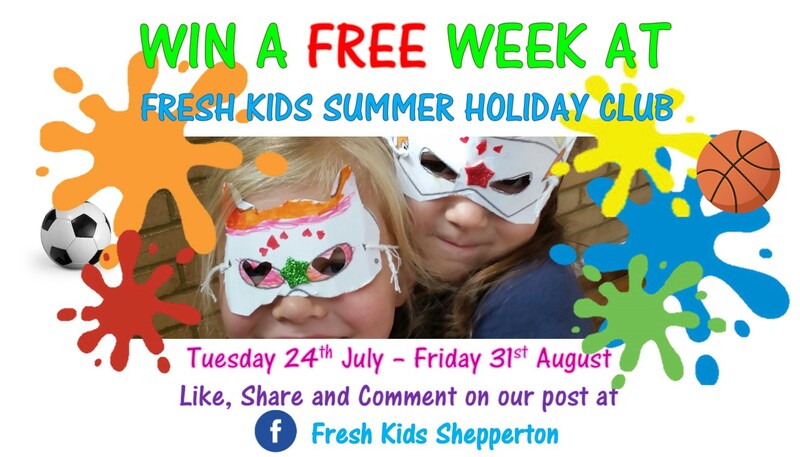 Fresh Kids Summer Holiday Give Away – Win a FREE Week! Fresh Kids Holiday Club is giving away 1 week at our amazing sports, arts & crafts activity club FREE. That’s 1 whole week of jam packed days of fun, fitness and crafts FREE! We’ve created an environment where all our unique young people can feel at ease and be themselves, feel included and valued. Our activities are well balanced each day to encourage communication, cooperation, self-esteem, confidence and team work – all whilst having fun in a safe and friendly environment. We have a high staff to child ratio, with enhanced DBS checked and first aid trained staff. Amazing value just £27 per day! Drop off is from 8:30am-9am and pick-up from 4:00pm-5:30pm, that’s just £3 per hour! Winner will be selected at random on Friday 20th July 2018 and announced on our Facebook page. within the 6-week Summer Holiday Club dates from 24th July to 31st August 2018.